Over the past few weeks we have been asked multiple times for the ability to have a better privacy of people’s contact information. By people, we mean your rescuers, volunteers and donors. This is something that we completely agree with. 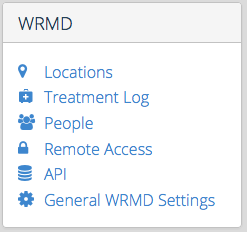 Last night we pushed an update to WRMD that puts tighter restrictions on who can view your people within your account. By default only Super Admins have access to people. In the settings area of WRMD there is a new link called People. Within that page, a Super Admin can then decide which users of your account can have what abilities with your people. The available abilities are to access people, to access a patients rescuer, to search rescuers when creating a new record, to combine people, to export people and to add new people. There are a few abilities, that require granting access to your people. For example granting a user the ability to combine people will also grant them the ability to access people. If you wish to just grant all your users full Access to all people abilities there is a setting to that as well. Granting all your users full access to all people abilities supersedes all of the other settings. We would like to thank everybody for being patient while we launched WRMD 3.0. The first week was full of communication and it was great for us to get to know our users a little more. Our favorite part was when some of our users such as Marita at High Desert in Bend, Oregon and Lucinda at Bird Ally X in Humboldt, CA started to answer other users questions! Thank you, it saved me so much time. As you can see we now have more of a forum space within the message area. You can choose a message to be private or open to forum. When you have a question, if you phrase the title well, others that have similar questions can look at the message string and get answers and talk to one another. We don’t expect this to turn into Facebook, but it is a way for rehabbers all over the world to easily talk to one another. We also want to thank all of the very active users for their help and communications, we think you know who you are – Paula, Dorothy, Cristin, Marita, Lucinda and many others. Thank you for all of your updates!!! The sign-in issue: when we transferred to the new database everybody had to reset their passwords. Unfortunately we also had a bug with resetting passwords. So, if you created a new password you were able to get into your account, but once you signed out you could not sign back in because your new password did not actually get update. Sorry about that! At first when you signed-in you were in 2016, when you went to look at 2015, you could not get back into 2016 without signing off and signing back on. This is now fixed as well. There was an issue with time as well. Everything was in UTC 0, which was London time for the first few days. So, anything that was recorded during those days will have the wrong time, but everything is fixed now. There was a minor issue with how the treatment records were organized oldest to newest and even if you changed it in settings, it was reverting, but that got fixed. The lab was not taking info at first, that got fixed. I could go on for awhile here. Suffice to say that we have been working hard, and are grateful for your patience while we work out the kinks. The “People” section is updated so that you can better manage your rescuers, volunteers and donors. Hopefully you have been able to figure out how to navigate through the years. On the bottom left of the screen there is an option for the year you wish to look at. If you want to do searches that include 2015 and 2016 you need to go to “Search Records”, put in your dates and search that way. If you just want to look at pending cases only, you can do the “Quick Search”|”Disposition Pending” and that will give you results for all years. 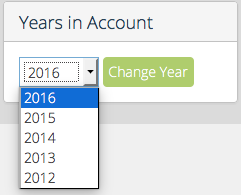 If you enter terms into quick search it will only search the year you are in. We hope that everybody is getting used to the new Locations feature. One thing to remember is that, anything from previous years might not be completely accurate. Everything got transferred over, but it might not be in the correct format. There is not much we can do about this, unfortunately. Also, when you change the disposition to any but Pending the location will blank. So, if you have animals in freezers or out for testing you should record it in the location field as well as rechecks or keywords. The location, however, will remain in the history. Due to the nature of managing this database we have had to reduce the number of custom fields that can be created per account to 10. If you have more then 10 custom fields you will not be able to enter new info into any fields created after the first 10 that were created. If you require more than 10 custom fields, please contact us about potentially creating a custom extension for your organization. Because of the time and resources involved with custom extensions we will charge a fee, on a sliding scale, depending on how extensive the customization is. Thank you again for your patience. I know it has not been completely perfect, but we are so grateful to work with such a wonderful group of compassionate people. Thank you for being so kind to us in your feedback! The update last night went relatively smoothly though it took longer than expected. All the data transferred over and we are just about done moving all your attachments as well. With this new version we now have a way to manage bugs and errors much better. Basically when ever you receive an error message on your screen we get notified about it at the same time. So far today there have been a handful of errors. That’s not too unexpected because of this major change we are going through. As we are receiving the errors we are correcting the problems as fast as possible so they will not be repeated. Thankfully today is January 1st and (hopefully) not too busy of a day for you! As always, if you are having difficulties then please reach out to us so we can help.